PVC Pipe Ashiko. New pipe obtained from construction sites. Notice very cool marks and abrasions on surface. Please make sure to register for the workshop in advance, including your payment, to ensure materials will be collected and assigned to you for your drum building experience on the day of the workshop. Pictures of all drums on this page. 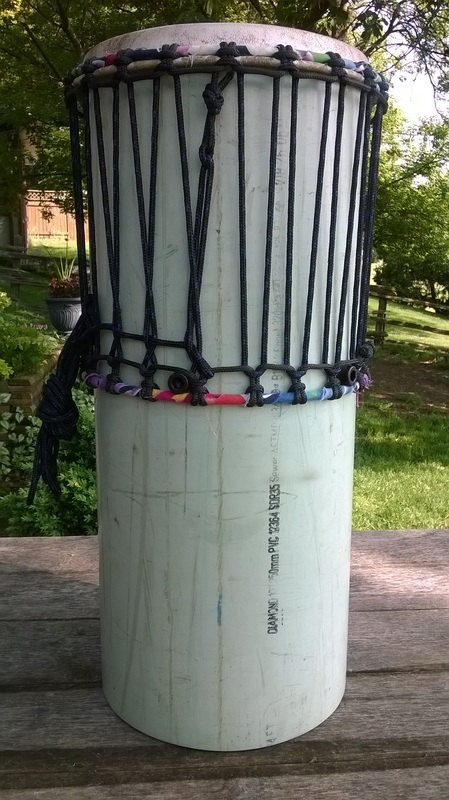 African Talking Drum made with PVC pipe or wood shell. 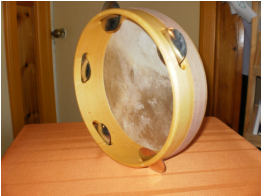 It is an hourglass shap drum from West Africa, whose pitch can be regulated to mimic human speech. It has two drum heads connected by rope, which allow the player to modulate the pitch of the drum by squeezing the ropes between their arm and body. The drum can thus capture the pitch, volume, and rhythm of human speech, though not the qualities of the vowels or consonants. Junk Percussion Workshop. 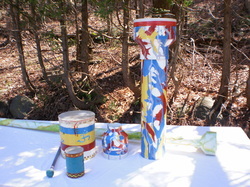 PVC and found materials. Drum, rattle, coffee can drum, beater. 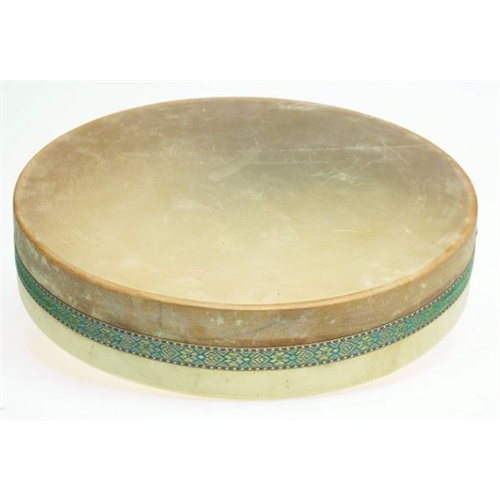 The frame drum is one of the most ancient musical instruments; it is thought to be the first drum to be invented. A frame drum is a drum that has a drumhead width greater than its depth. Usually the single drum head is made of rawhide. The Pandeiro is a type of hand frame drum popular in Brazil, which has been described as an unofficial instrument of that nation. PVC Pipe Ashiko. New pipe obtained from construction sites. Very cool marks and abrasions.